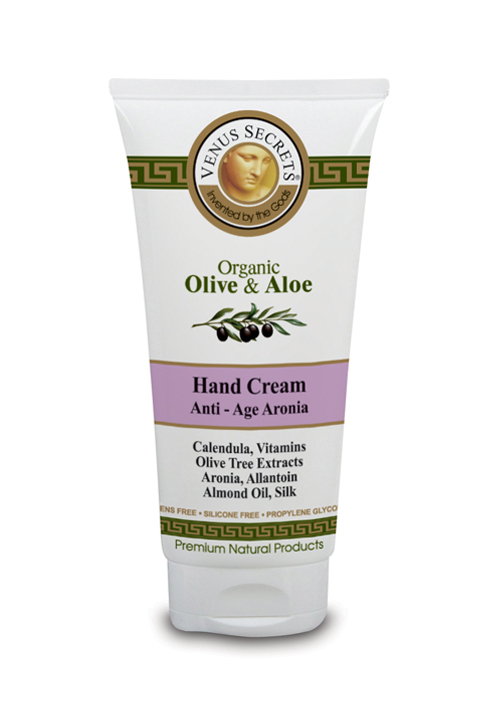 Aronia Anti-Age Hand Cream with organic olive oil, organic aloe and vitamins for hydration, smoothness and freshness. Fights dryness, cracking of the skin and prevents senescence of skin. Easily adsorbed. Aqua, stearic acid, glycerin**, paraffinum liquidum,isopropyl myristate, triethanolamine, cetearyl alcohol, sodium cetearyl sulfate, prunus amygdalus dulcis oil**, glycine soja(soybean)oil**, calendula officinalis flower extract**, olea europaea oil*, aronia melanocarpa fruit extract**, allantoin**, aloe barbadensis gel*, hydrogenated C12-C18 triglycerides, hypericum perforatum extract**, helianthus annuus seed oil**, arnica montana flower extract**, citrus medica limonum extract*, butylene glycol, polysorbate-20,PEG -20 glyceryl laurate,retinyl palmitate***, tocopherol***, linoleic acid***, parfum,phenoxyethanol, silk amino acids, caprylyl glycol, lavandula angustifolia extract*, ethylhexylglycerin, chamomilla recutita flower extract*, salvia officinalis extract*, camellia sinensis extract*, C.I. : 16255, 45100, 42090, 74180, 28440. 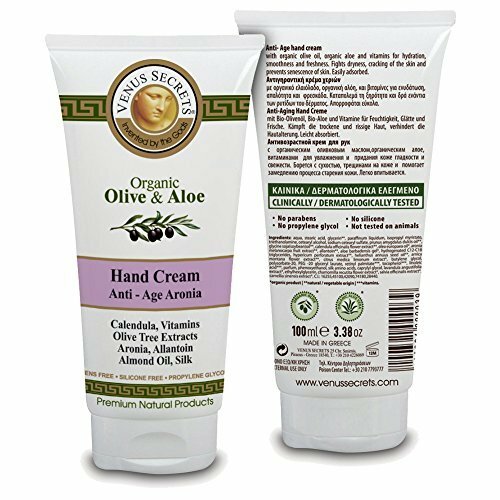 *organic **natural / vegetable origin ***vitamins NO PARABENS / NO SILICONE / NO PROPYLENE GLYCOL CLINICALLY / DERMATOLOGICALLY TESTED.